Muslim Egyptian Mobile Apps Publisher | Bassem Elhawary: Google Calculator! .. And Enjoy! 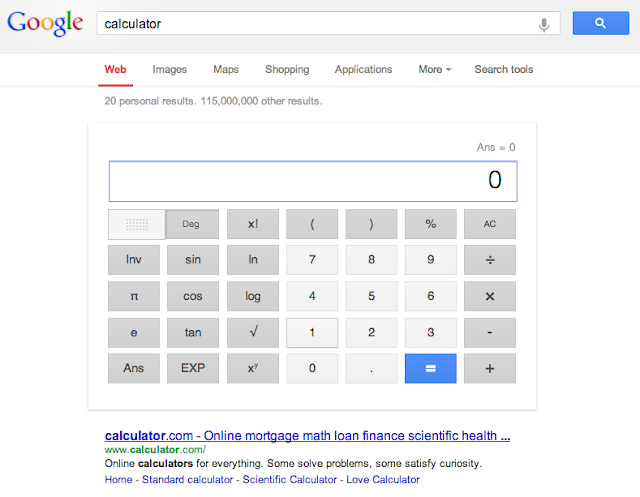 We all know that you can use Google's search box for mathematical calculations. Share what else you discovered on google.